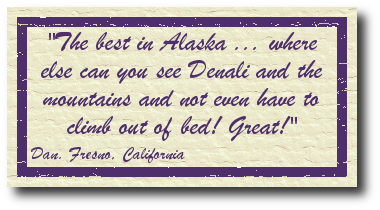 Private Denali View Lodging since 1993"
All of our cabins have astonishing views from inside and outside. 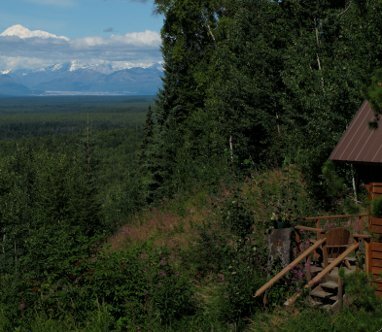 Denali and its surrounding peaks can be viewed from each of the master bedrooms, living/dining rooms, and surrounding grounds. 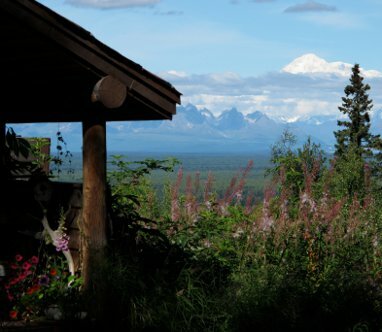 Do not forget to look at our slideshow to catch a glimpse of the beauty you will see when you stay at Traleika Mountaintop Cabins! 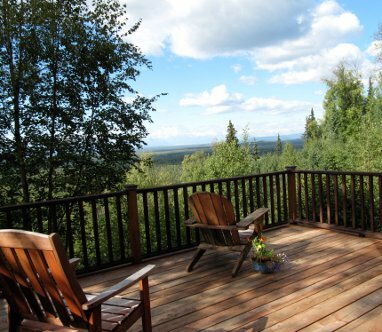 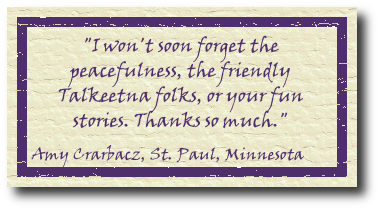 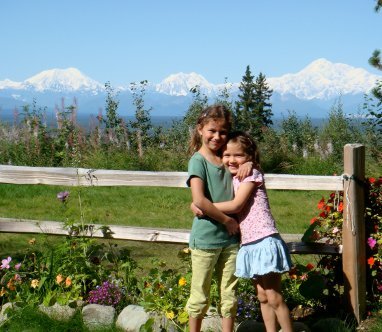 Contact us today for cabin rentals and more information about staying with us in Talkeetna. 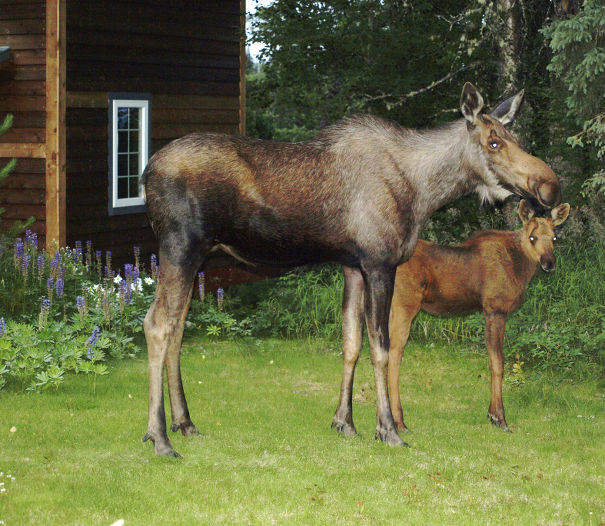 Look at TATs webcam for the current weather.